Code 7 Digital Distribution- State of the art Digital Music Distribution worldwide. Contact Us Now! 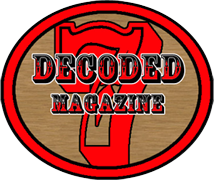 Welcome to Code 7 Digital, a superior boutique digital distribution service. Utilising the INgrooves / ONE Digital Platform, Code 7 Digital provides digital distribution to over 400 online and mobile destinations worldwide in more than 100 territories. Our client console gives you total visibility on the status of your releases, including when and where they have been distributed. You can also review and export monthly sales reports for all retailers. In addition to providing you with the best digital distribution service available, Code 7 Digital enables you to market your content to the digital world whilst also giving you access to large-scale promotional partnerships with companies such as AOL Music, Spinner, Topspin Media, Clear Channel, Pandora, Facebook, and more. Combining a 12 month no hassle term and competitive rates with world leading technology, marketing and service; please contact us to see what we can do for your digital business.